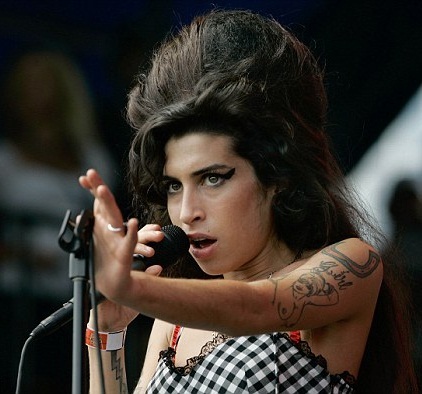 I don’t know much about Amy Winehouse. Though since her death on July 23, 2011 I’ve learned more about her than I ever knew while she was alive. I was aware of her, had heard her name in passing. But I couldn’t have picked her out in a crowd. Never listened to her music, never visited her website. Never prayed for her. Now she’s dead. Too late for Amy. In the summer of 1977 I was still living at home with my parents and brother and sister in Wheeling, West Virginia. We had moved there from New Jersey three years earlier. We received a letter in late August from a friend back in Jersey, Kay Knight. Now whenever I hear about the death of a celebrity those three short sentences echo in my head. I still don’t know the answer to Kay’s question, how far does our responsibility go? I’m pretty sure it goes further than what I’m doing. I don’t know what Amy Winehouse’s relationship was with God. To be honest, that was not my responsibility. But a prayer for her may have made a difference. She was such a non-factor in my life, like I said, I was only vaguely aware of her existence, that I think I’m off the hook here. But what about other celeb-types? Those whose work in movies or TV or music or sports or politics I admire? That prayer list keeps getting longer. No wonder the apostle Paul told us to pray without ceasing. I used to wonder how can someone pray for an hour, but the more I long to get closer to Jesus I fnd my hearts designer becoming His hearts desire. What I am saying is the closer I get to Jesus the more my heart breaks for the lost. As we all know, wide is the road…… With that said an hour of prayer is nothing. In fact, if we put together a list of the people we should be praying for; family, friends, neighbors, bosses, co-workers, celebrities, leaders, sick, poor, rich, pastors, church body, Israel………, we will find that an hour is not enough time.